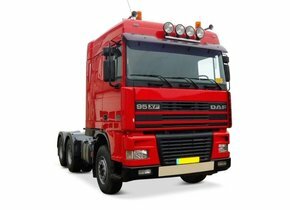 Is a windscreen replacement for a DAF immediately required? 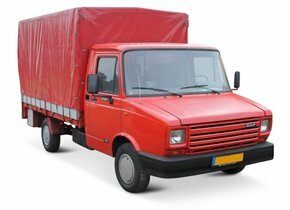 Why is a windscreen replacement of a DAF standard so expensive? 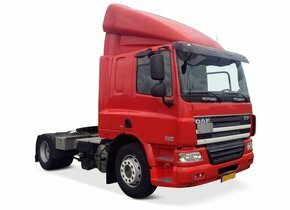 The origins of the car and truck manufacturer DAF can be found in the year 1932. The brand was founded in Eindhoven by Hub van Doorne. 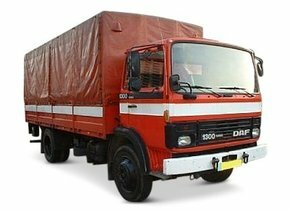 The DAF cars have become particularly well-known because of their diverse character. On the one hand, the brand also brought strikingly small cars to the market, but on the other hand, it was mainly the large trucks that took the spotlight. Do you also have a DAF car, but does it have a damaged windscreen? Are you looking for the most interesting solution? Then read more quickly and find out what unique possibilities we can offer our customers in the area of a windscreen replacement for your DAF! When you are confronted with a damaged DAF windscreen, it is only natural that you will want to have this damage repaired as soon as possible. This is not only because damage to the windscreen is not at all beautiful, but also because it can lead to the necessary safety risks. The windscreen replacement for a DAF is not always an immediate requirement. For example, if you have had a difficult month in financial terms, there is a chance that you will not have enough money available to replace the windscreen of your DAF immediately. Is the damage to be found in one of the corners of the windscreen? Then it is perfectly possible to postpone the windscreen replacement for a while. This does not apply if the asterisk or crack is directly in the driver's field of view. In that case it is an absolute must. 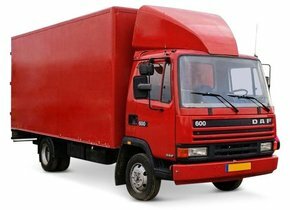 A windscreen replacement of a DAF is so expensive by default because in the majority of cases one chooses to use an original new DAF windscreen. Such automotive glass has a brand logo which ensures that it can initially only be sold by a genuine brand dealer. In this way, the cost price is much higher compared to the after-market alternative also offered on the market. Even an original used car window from a DAF is almost always more expensive than an after-market model. The brand logo therefore ensures that the cost tag of an original DAF windscreen can be very high, but by default a windscreen is already much more expensive than ordinary automotive glass without a brand logo. The above has everything to do with the fact that the windscreen of a car (also at DAF) consists of laminated glass. This is thus a car window that consists of several glass layers and in between a PVB film can be found. This film has an adhesive effect on both sides, allowing the glass to be held together in case of breakage. This prevents them from splashing apart and not only causing injury to the driver of the vehicle, but also to the co-driver. In addition, the production of windscreens (as well as car windows in general) is accompanied by very substantial investments, which can result in a relatively high selling price. Fortunately, Autoglas Concurrent has the perfect solution for you in store in this area. 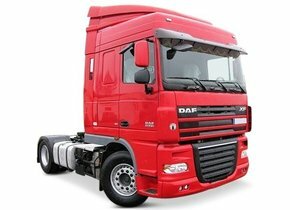 As indicated earlier on this page, replacing the DAF windscreen can also be very well achieved by using an after-market windscreen. Such automotive glass is manufactured in the same factory as the original automotive glass and even form part of the same production process. Despite the fact that a windscreen replacement of a DAF with an after-market car window is not in any way returned in terms of quality, the costs are a lot lower. So you don't have to wait long to have your damaged windscreen repaired. After all, the windscreen replacement of every DAF at Autoglas Concurrent is perfectly possible for any budget. 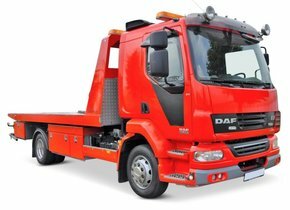 Having the possibility to buy a cheap new DAF windscreen is obviously very interesting, but who is going to replace the windscreen of your DAF exactly? Because we consider it particularly important that our customers can always count on the best value for money, we always choose to outsource this task to one of our certified partners, who even provide you with on-site service. In this way, you can always be sure that the windscreen replacement of your DAF will be carried out by an experienced professional, ensuring the best possible end result. In addition, this way you can use your DAF to get back on the road!